The first round nears the end, which means that Carl’s Colorado Avalanche finally have their season ended. Is the Counselling Couch needed? The Nashville Predators and Winnipeg Jets face off in round 2. Are the Preds still the favorite in the West? The Tampa Bay Lightning made easy work of the New Jersey Devils. Will Nikita Kucherov be able to lead the team into the 2nd round? Officiating is still terrible. How much does it impact the quality of the game? After scoring 28 goals in 6 games, the Pittsburgh Penguins eliminated the Philadelphia Flyers. Can the Pens 3 peat? Are we sick of Pens vs Washington Capitals? If they advance, is this finally Washington’s year? After a couple of sweeps, the Vegas Golden Knights and San Jose Sharks are rested and ready for round 2. What will it take to stop the Golden Knights? Chuck Fletcher is out as the general manager of the Minnesota Wild. Bill “Don’t Call Me Jim” Peters is officially hired by the Calgary Flames. 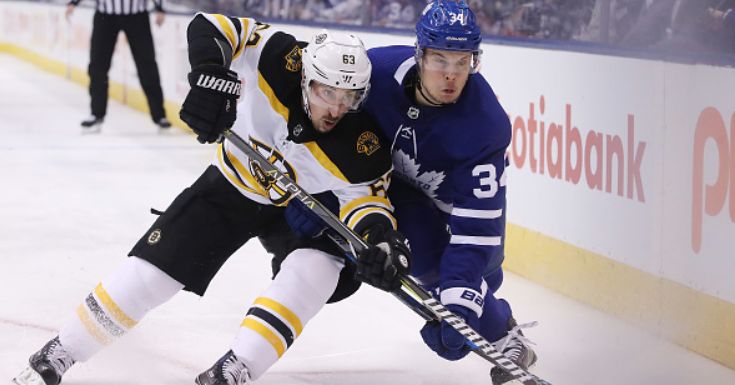 Joel’s Toronto Maple Leafs try to come back against the Boston Bruins. Joel tries to hold it together as his team holds onto the playoffs. Lastly, there is a Hi Sticking update, with 400 points handed out in the 1st round of the playoffs. We start fresh in round 2!